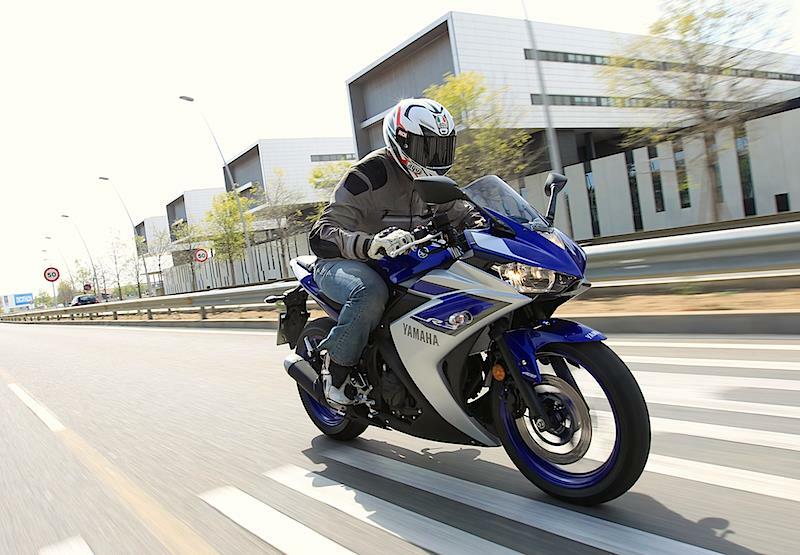 Yamaha’s new YZF-R3 was designed to fill the daunting gap between their popular YZF-R125 and headbanging YZF-R6. If our first ride on the launch in southern Spain is an accurate guide then they have another winner to go alongside the R125. The morning’s ride was a full road ride and the launch route took us on a mixture of urban town roads, quicker suburban work and then a brilliant scramble into the Catalan mountains. And the R3 gave a great ride through everything I threw at it. When I read the specs before riding the bikes I was worried it would have a peaky power delivery because the peak torque is at 9000rpm and peak power is at 11,500. But the 321cc twin motor is good at all revs, even though it is at its quickest when you ride it hard and take it above 9000rpm. The engine response is smooth, comfortable and quick enough to have good fun on. On one section of dual carriageway I managed to get a bit of a top-speed run and, wearing a flappy textile jacket, I saw 170kph on the clock, which is about 105mph if the speedo is accurate. The chassis has the skills to match the smooth and perky engine. It’s relaxed and unintimidating to suit less experienced riders, with the weight distributed slightly in favour of the rear wheel. The clip-on handlebars sit above the top yoke, giving a comfortable riding position whether tucked in or sitting upright. It is prectable on turn-in, stable in corners and the suspension deals well with my 14-stone frame, which is probably more than most R3s will be expected to support. The afternoon session of the test was on track, at Calafat circuit between Barcelona and Valencia. It was the ideal circuit to evaluate the R3, with one long straight where it hit an indicated 160kph (105mph) and then a succession of corners to test the small Yam’s mettle. It’s not as outright fast as KTM’s new RC390, but the Yamaha is quick enough to be fun on a track and is a more predictable handler than the lively Austrian rival. Yamaha has put a lot of work into the Indonesian-built R3’s engine, with a DiaSil cylinder that reduces friction on the lightweight forged piston. The cylinder is also offset slightly from the crank, giving the piston a more direct downward path on the combustion stroke and reducing the amount of drag it experiences against the cylinder wall. 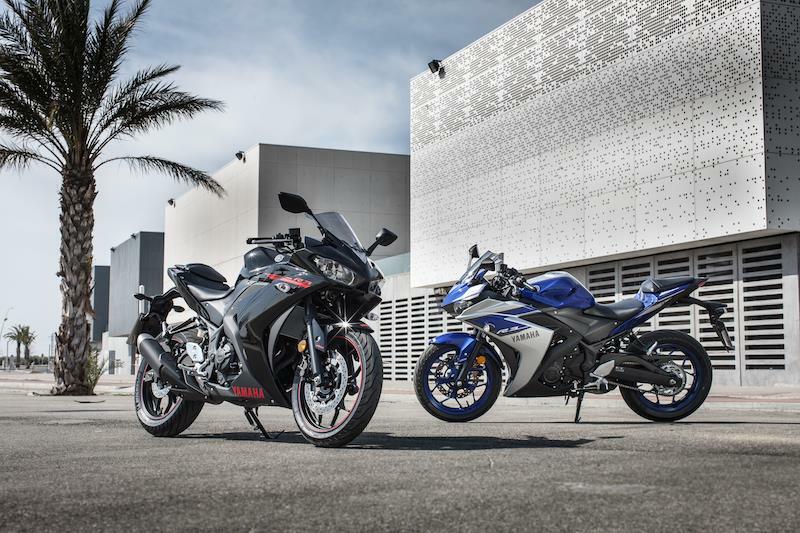 Chassis-wise, the swingarm is the same length as that on the R1, which helps keep constant steering geometry in all riding conditions, and ABS comes as standard. Tyres are decent Michelin Pilot Streets, not the junk that’s fitted as original equipment on some bikes in this category. The instrumentation is better than on many bigger bikes and the R3 is just quality all-round, which belies the image some have of small bikes. The pricetag, £4799 at the time of launch in the UK, is not that far behind a ‘big’ bike like Yamaha’s MT-07 – but the build quality and finish are a match for the popular middleweight naked. 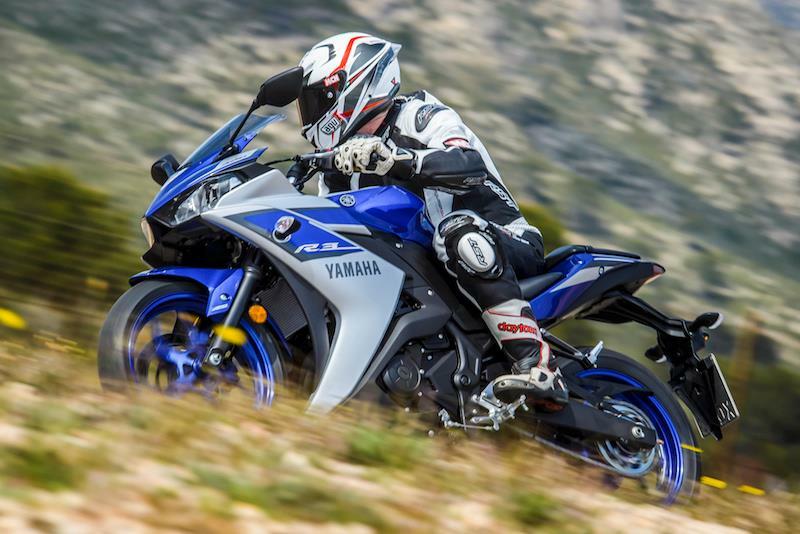 They were aiming to give riders a step on from life with a 125cc bike, and Yamaha might just have hit the bullseye with the easygoing and downright fun YZF-R3.